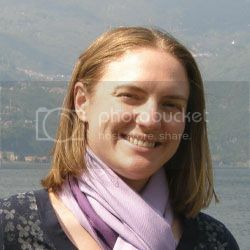 This year I participated in the Stash Bee, an online bee made up quilters all over the world. I was in Hive 12, and my month was May. I asked the members of my hive to make me blocks from my Square Dance quilt block tutorial using the paper piecing pattern that I created for this project (now available on Craftsy). Here she is – in all her glory! The members of my hive did such an amazing job with their blocks. 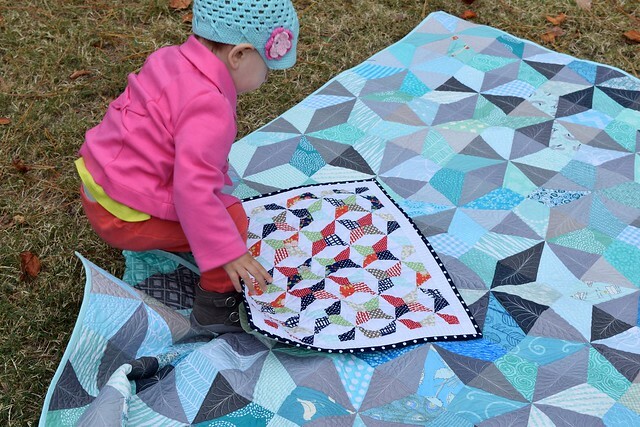 The variety that they added to this quilt is what really makes it shine! I will really enjoy sitting on the couch cozying up with this quilt this winter knowing that so many people helped make this quilt happen. A huge thank you to Heather, Cheryl, Jennifer, Michele, Kristel, Laura, Toni, Genevieve, Francis and Willa! 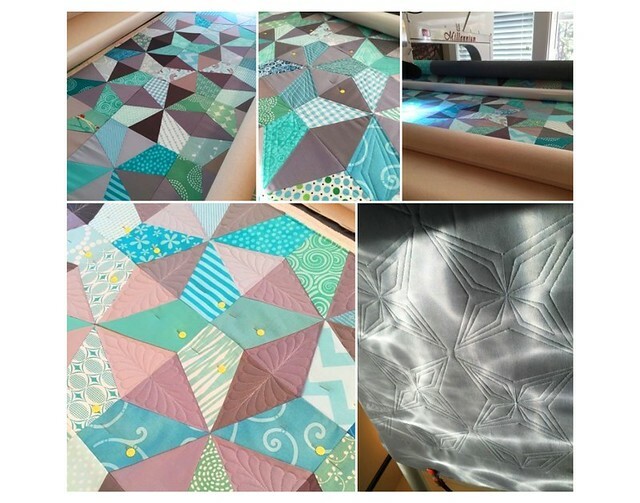 Above are some pictures of the quilting in progress. To see more pictures, please see my Quilts Actually blog post about the quilting of this Square Dance quilt. This quilt was a little rushed because I was working to complete it before the fair. The binding and I spent some late nights, a lot of time in front of the TV, and an all day guild meeting together in order for it to get done. 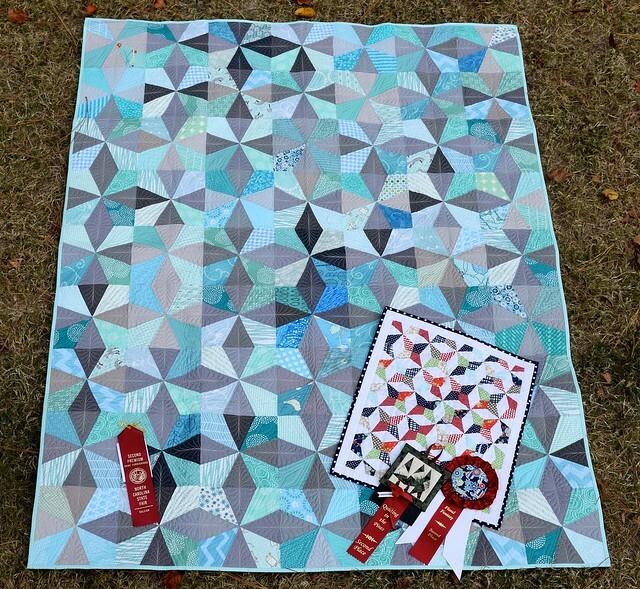 It was worth all the work though… I finished it in time to enter it in the North Carolina State Fair, where we earned 2nd place in the Group quilt category! I’m going to say we were robbed… just kidding… I didn’t actually see the 1st place quilt, so the possibility does exist that it was better. 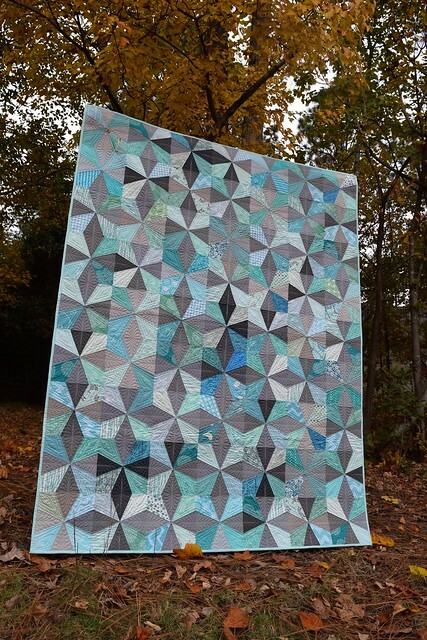 Once I was able to pick up the quilt after the fair, it seemed like everyday was sunny or rainy so it I had to wait quite awhile for a nice overcast day to take proper photos. Luckily, our fall colors were at their peak, making a nice backdrop. The back of the quilt really shows the quilting in detail. I also added a few extra blocks in a strip along the bottom. I love that little pop at the bottom! I was also quite proud of myself for adding the hanging sleeve right away (granted…it was forced because I wanted to enter it in the fair), but usually I wait forever and don’t have any backing fabric leftover to use. The sleeve looks so much nicer in matching fabric! Note to self: make the hanging sleeve when you first finish the quilt from now on. 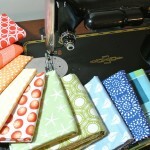 This is my Stash Bee Square Dance with my miniature quilt Square Dance. These two quilts have earned a few second place finishes – North Carolina State Fair, Quilting in the Pines Quilt Show, and Floral Fantasy Quilt Show. The quilt is truly beautiful!!! And the quilting is magnificent!!! Awesome quilt. You did a most fabulous job with the quilt and the quilting. Congrats on the ribbon. I love everything about the quilts. And your helper is adorable! You and your bees did a great job. Stunning- front and back! Congrats on the ribbon. 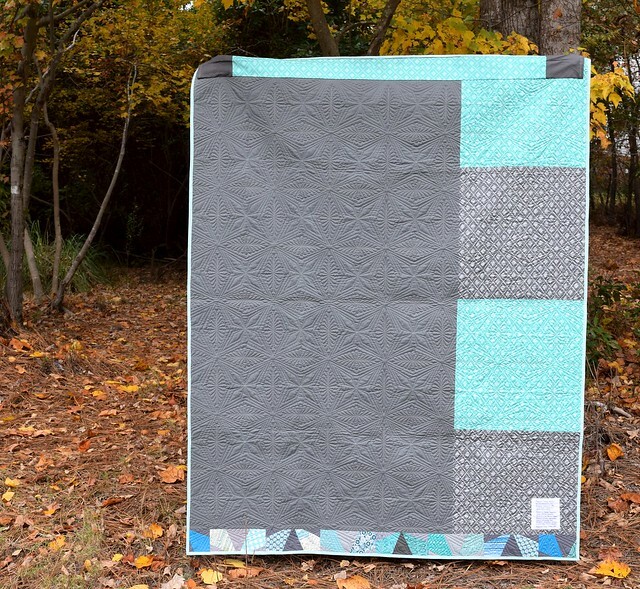 I love the color scheme you chose on this quilt! 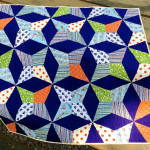 The quilting is amazing, it really makes the blocks stand out. Congrats on your second place ribbons! That is really lovely-you can’t go wrong with shades of blue in my book! Fantastic. I love how this turned out, and congratulations on the ribbon in the fair! This is a gorgeous finish. 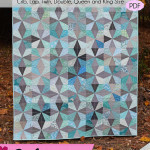 It’s a lovely design and your quilting is extraordinary! The mini version is my fave. I love the scrappy feel of that one. Congratulations on all your ribbons! 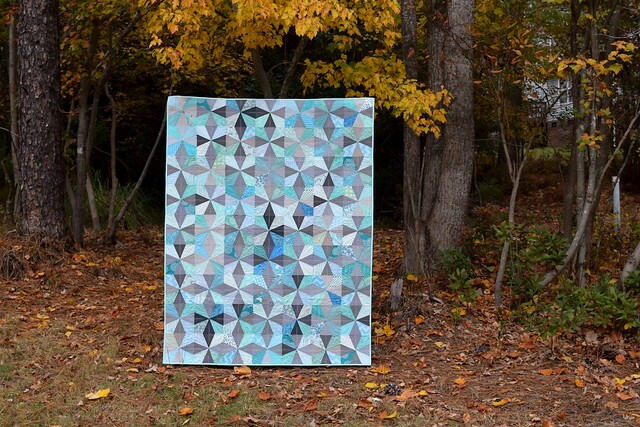 This quilt is absolutely gorgeous and the quilting is phenomenal. Love the teal and gray. And I really love the mini, and it’s colors. Thanks for the tut! What’s not to love-it’s really stunning! What a beautiful quilt. And fun memories of your friends. This is gorgeous. The colors are fabulous. Great finish! Congrats on the ribbon, too! 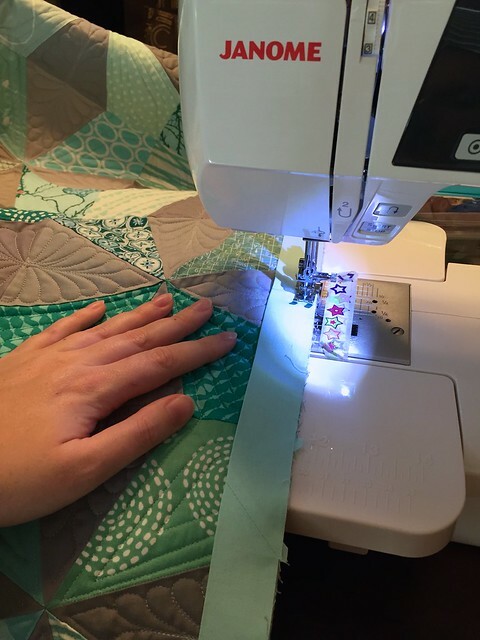 Heather, this quilt is so awesome – the fabrics, your pattern, the quilting you did – just fantastic all around! That is seriously gorgeous, Heather! 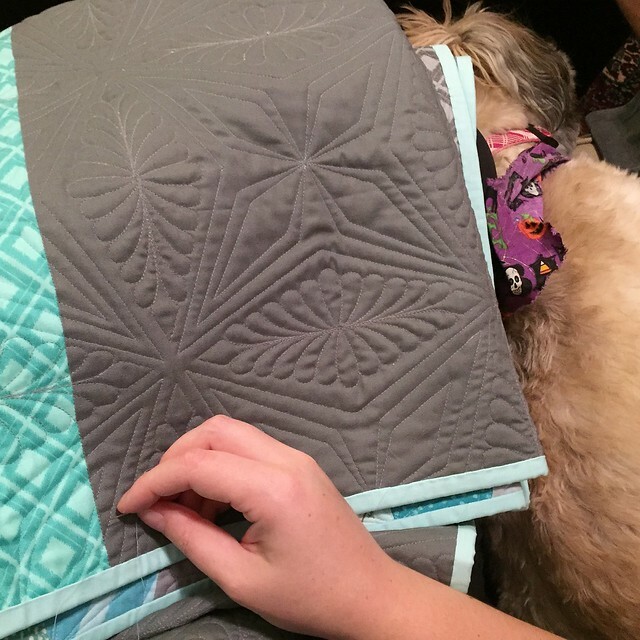 Your quilting is amazing! Wow! Congrats on the ribbons — they are well deserved! So glad you linked up to TGIFF! Heather, this is stunning! The colors are so beautiful – you’re right, your hive-mates did a fantastic job and your quilting is amazing. Totally gorgeous! Great job everyone! This is absolutely beautiful!!! Congratulations – well-deserved win indeed! It’s so pretty! Congrats on the wins – you might have been robbed. Those judges are funny sometimes. I have signed up for next year’s stash bee, and this has me all excited about the possibilities. It shows how a classic design can be magic in the right fabrics. Great job on the quilting! 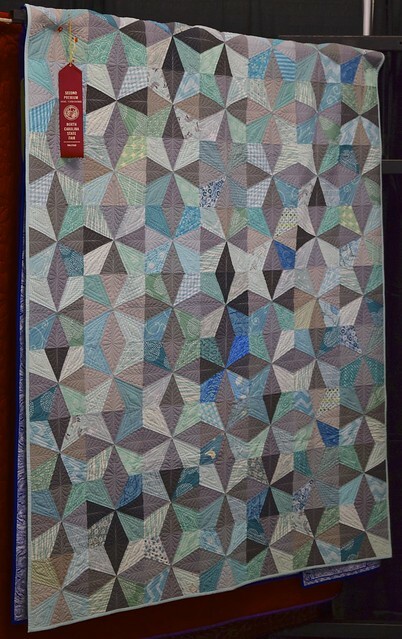 I love the colours that you chose for this quilt. I’m quite surprised that the group blocks all ended up looking so similar. They work together beautifully. Great job on the quilting too. Your deserved to win a ribbon at the fair.